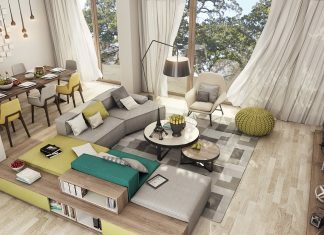 Roohome.com – If you have a small space in your apartment, do not worry if you cannot arrange it become more awesome. 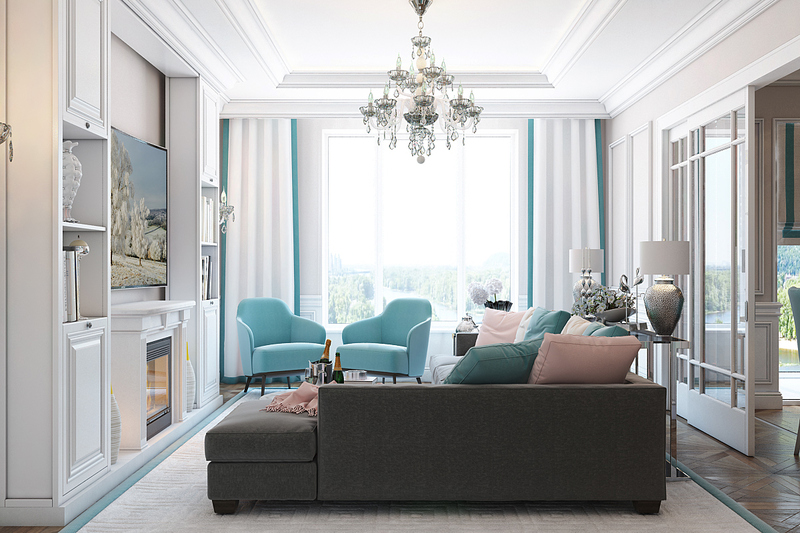 Here, the designer has been created a brilliant way how to arrange small apartment interior design which applied with contemporary decor ideas in it. 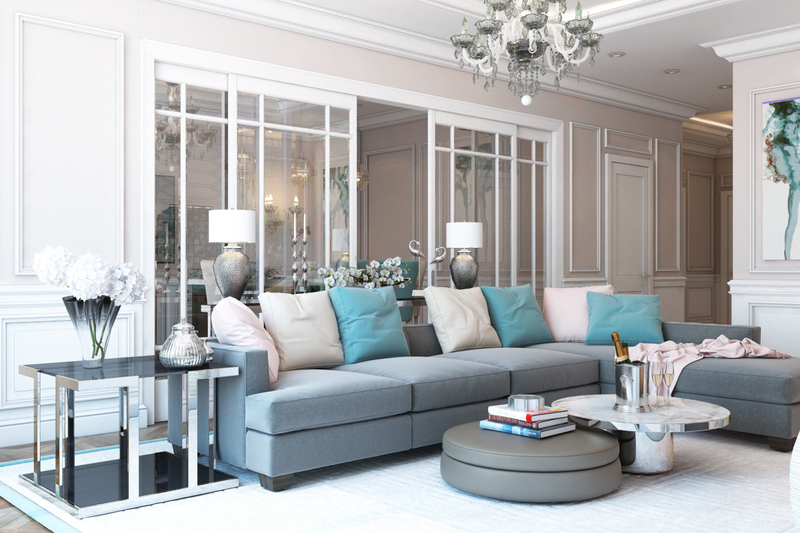 The designer makes this apartment looks bigger and more perfect with awesome decoration. For that, better you sneak peek our small apartment design ideas down below! Who knows you may get a lot of inspiration and new idea to renovate your apartment design. Let’s go! For the living room, you may also design it with a perfect design. Do not make your small room looks monotonous, for that, we would suggest you to arrange your living room with a contemporary design. 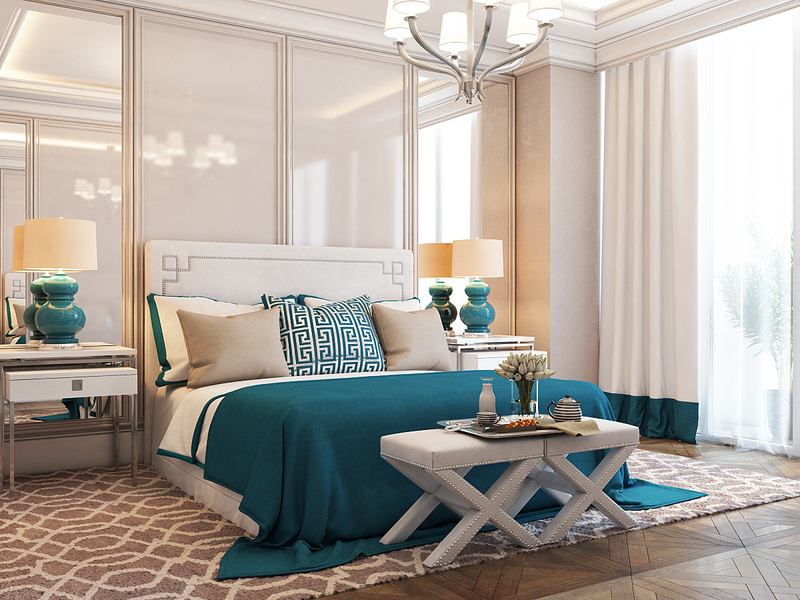 This design will look perfect if you use a white color accent decor to paint the whole of the room. 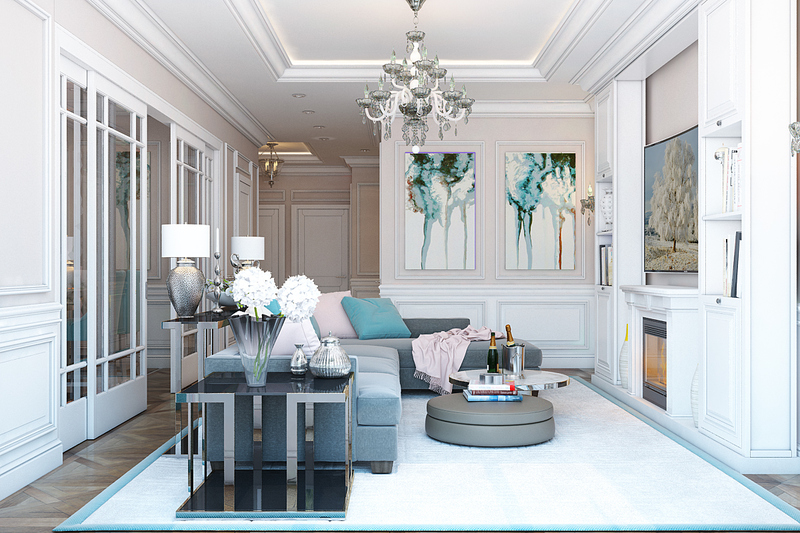 This contemporary small living room design may you adjust an appropriate decor to make it more awesome. To make it does not look casual, you may combine it also with another bright color that very compatible to apply in. Use a modern chandelier as the complement of your design. For the dining room, you may use a backsplash which use a blue tile design to arrange in part of the wall. 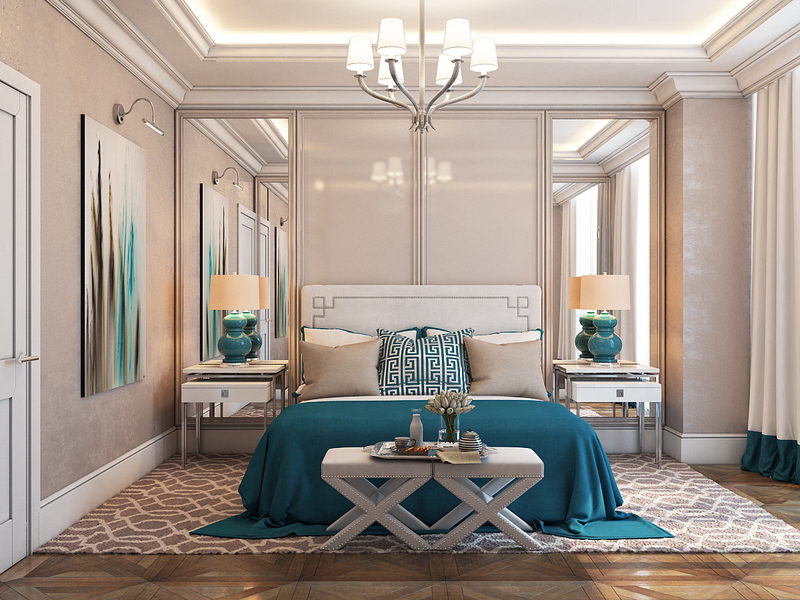 Then, for the bedroom, this is will be a master bedroom in this small apartment interior design. 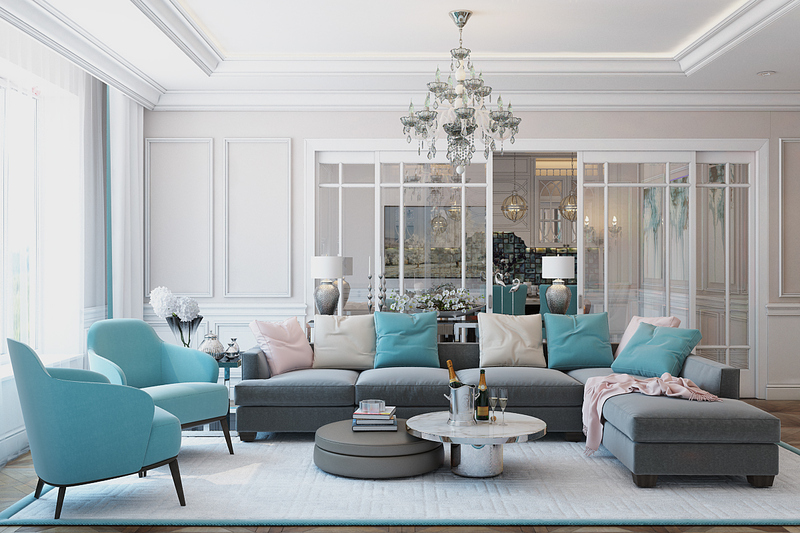 The designer decorated it with a pastel color decor to make the room more perfect. 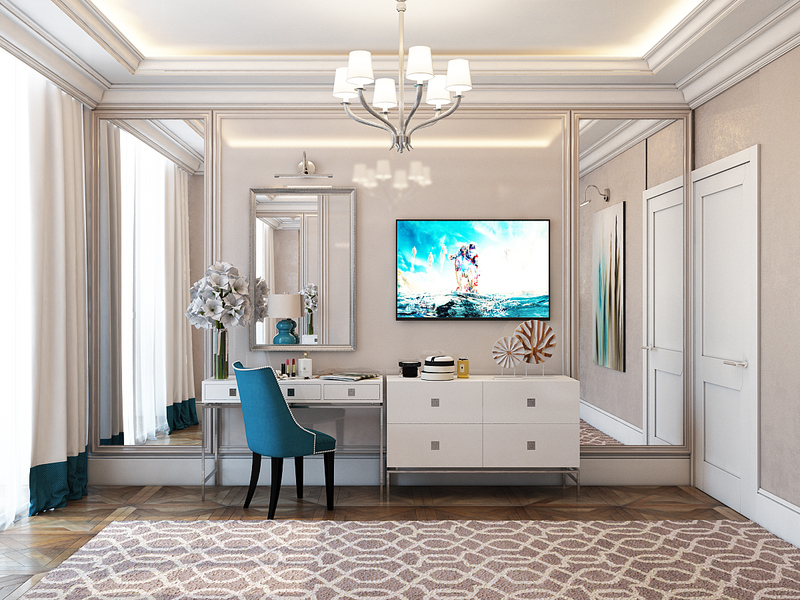 Use a mirror that you can put at the back to make this room looks bigger. Use a simple lighting which looks like a chandelier shaped. Put a suitable rug that can make this design looks more perfect. 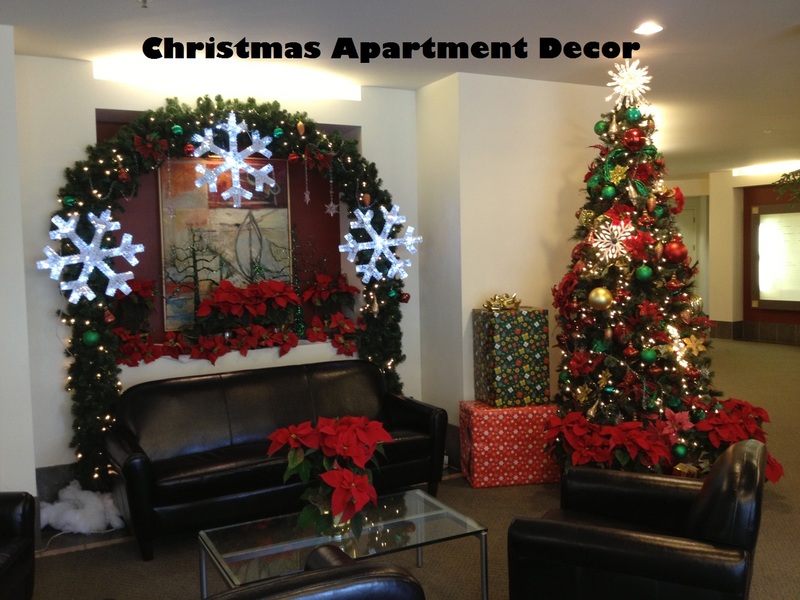 If you want to add some ornaments, better you use a simple ornament that very suitable to apply. Next, you also may decor a teenage room. 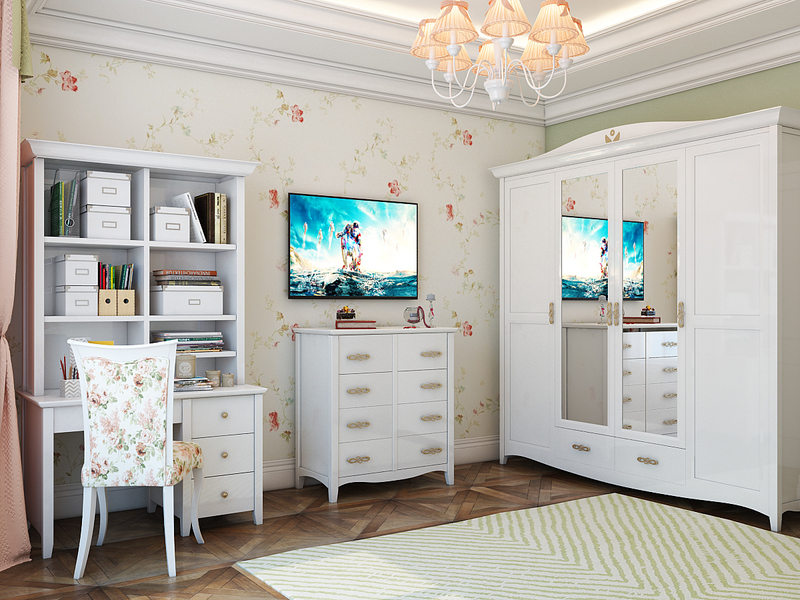 This small apartment design ideas especially for this teenage bedroom, you can decorate it with a cute wallpaper design. 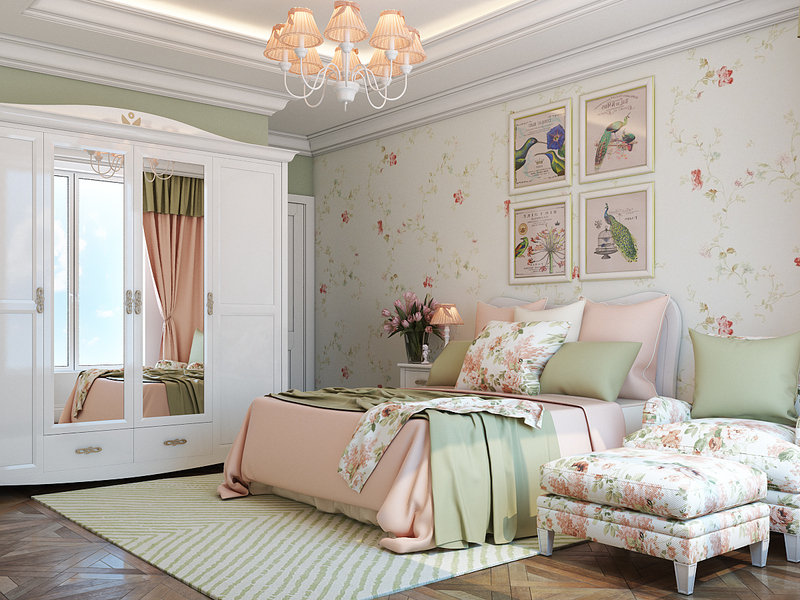 Use a beautiful flower decor to make the room more perfect. This decoration will bring out the charming impression in it. The design is very suitable to apply for the teenage girl. Adjust an appropriate ornament in it. Put an artwork also to make it more perfect. Set the floor with the wooden material decor. 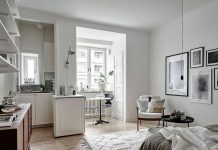 Did you interested in this small apartment interior design? Let’s follow and apply it to your apartment design. We hope this design will bring out a lot of inspiration for you! Good luck!